From KKD–What is testi-lying? Apparently the police know all about this term–you take the truth and stretch it out and out and out, until the truth is lightyears away. Now you would think that with all the surveillance cameras, cell phones, dash board cams, body dams, the incidence of anyone lying would be practically nil. Apparently not for the police. Now studies show that psychopaths are drawn to jobs like police, judge, lawyer and we should be testing all those individuals first with a PET brain scan, but apparently no one cares that our professions are packed with lying, cheating scum the tax payers support. For a new great video and series on psychopathy, see this lady. She explains in detail how these people infiltrate, take control and then eventually ruin an entire organization. We see that with judges at the Daley center, with the ARDC. Apparently I am told that the JIB contains the names of a number of individuals that have the same last names as many judges on the bench and that seems to explain the fact that while hundreds of valid complaints against judges are submitted per year, only a handful result in any discipline, let alone removal. Perjury is not a crime anymore – it is routine. adjustments in the truth to meet a scenario is commonplace. The electoral advertisements are replete with outright lies! The half truths published in the media along with the distortions are now legend. Why should the Police and law enforcement get into the act! Here in Chicago just before the last mayoral election a young man with a deep hue to his skin was shot 16 times by the a policeman. An election was being held and the Mayor might lose the election if word of the shooting were to get out! What happened: The City council met and voted 5 million dollars of hush money to be paid to keep the atrocity secret until after the election. All 50 Alderman voted to pay the bribe! The mayor was elected and the Police Department was charged with a COVER UP! Details of the ‘cover up’ by the MAYOR’S POLITICAL MACHINE were and are still being kept secret. Mention this and Stromy something or other becomes the center of the conversation. Subject: False testimony by the police in routine cases is so prevalent it’s known as “testilying.” Even when exposed, it rarely hurts careers. False testimony by the police in routine cases is so prevalent it’s known as “testilying.” Even when exposed, it rarely hurts careers. 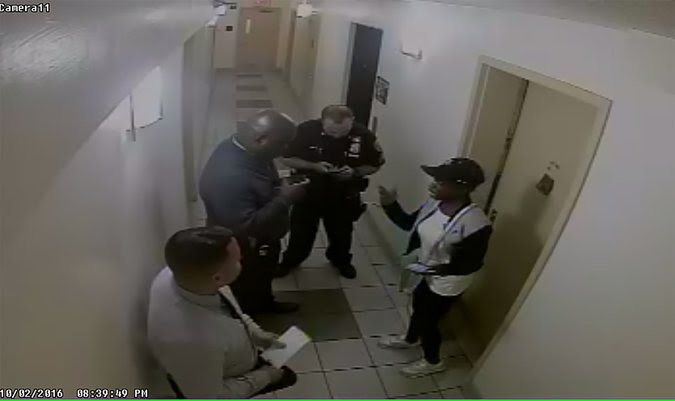 A New York woman faced a gun charge, until a video proved the police officer’s account was untrue. But when false testimony by the police is exposed, officers rarely face any consequences. evidence that has allowed the public to test officers’ credibility. An investigation by The New York Times has found that on more than 25 occasions since January 2015, judges or prosecutors determined that a key aspect of a New York City police officer’s testimony was probably untrue. The Times identified these cases — many of which are sealed — through interviews with lawyers, police officers and current and former judges. In these cases, officers have lied about the whereabouts of guns, putting them in suspects’ hands or waistbands when they were actually hidden out of sight. They have barged into apartments and conducted searches, only to testify otherwise later. Under oath, they have given firsthand accounts of crimes or arrests that they did not in fact witness. They have falsely claimed to have watched drug deals happen, only to later recant or be shown to have lied. No detail, seemingly, is too minor to embellish. “Clenched fists” is how one Brooklyn officer described the hands of a man he claimed had angrily approached him and started screaming and yelling — an encounter that prosecutors later determined never occurred. 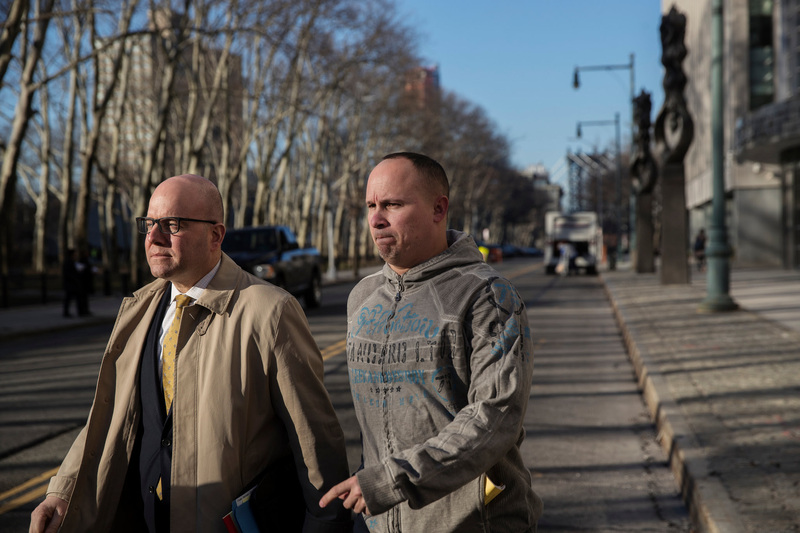 Another officer, during a Bronx trial, accused a driver of recklessly crossing the double-yellow line — on a stretch of road that had no double-yellow line. In many instances, the motive for lying was readily apparent: to skirt constitutional restrictions against unreasonable searches and stops. In other cases, the falsehoods appear aimed at convicting people — who may or may not have committed a crime — with trumped-up evidence. In still others, the motive is not easy to discern. In October 2016, for example, a plainclothes Brooklyn officer gave a grand jury a first-person account of a gun arrest. Putting herself in the center of the action, the officer, Dornezia Agard, testified that as she approached a man to confront him for littering, he suddenly crouched behind a van, pulled from his waistband a dark object — later identified as a gun — and threw it on the ground. “P.O. Agard testified that she heard a hard metal object hit the ground,” according to a letter the Brooklyn district attorney’s office wrote summarizing her testimony. But prosecutors lost faith in her account in July 2017, after learning from other officers that she was not among the first officers on the scene. Officer Agard had arrived later as backup, according to the letter, which noted that the gun charges against the man were later dismissed. The prosecutors did not address why Officer Agard claimed to be a witness, or why the other officers present seem to have allowed her to process the arrest. Police lying raises the likelihood that the innocent end up in jail — and that as juries and judges come to regard the police as less credible, or as cases are dismissed when the lies are discovered, the guilty will go free. Police falsehoods also impede judges’ efforts to enforce constitutional limits on police searches and seizures. The 25 cases identified by The Times are almost certainly only a fraction of those in which officers have come under suspicion for lying in the past three years. That’s because a vast majority of cases end in plea deals before an officer is ever required to take the witness stand in open court, meaning the possibility that an officer lied is seldom aired in public. And in the rare cases when an officer does testify in court — and a judge finds the testimony suspicious, leading to the dismissal of the case — the proceedings are often sealed afterward. Still, the cases identified by The Times reveal an entrenched perjury problem several decades in the making that shows little sign of fading. So far in 2018, a Queens detective has been convicted of lying in a drug case and a Brooklyn detective has been arrested amid accusations that he fabricated the results of a photo lineup. These cases returned the phenomenon of police lying to the public eye, leaving police officials to defend the integrity of honest officers. Kevin Richardson, the Police Department’s top internal prosecutor, said he believed so-called testilying was nearing its end. “I think it’s a problem that’s very much largely on its way out,” he said. Indeed, it’s tempting to think about police lying as a bygone of past eras: a form of misconduct that ran unchecked as soaring street violence left the police overwhelmed during the 1980s and early 1990s and that re-emerged as police embraced stop-and-frisk tactics and covered up constitutional violations with lies. But false testimony by the police persists even as crime has drastically receded across the city and as the Police Department has renounced the excesses of the stop-and-frisk years. Some policing experts anticipate that the ubiquity of cameras — whether on cellphones, affixed to buildings or worn by officers — will greatly reduce police lying. For the moment, however, video seems more capable of exposing lies than vanquishing them. In two recent cases, The Times found, officers appear to have given false accounts about witness identifications. These cases are particularly troubling because erroneous identifications by witnesses have been a leading cause of wrongful convictions. After a 2016 mugging near a Brooklyn subway station, the police arrested a group of four people, one of whom was found to be in possession of the victim’s wallet. In preparing the case, prosecutors sought to pin down a few basic facts. Had the police brought the victim, who was punched and had his wallet taken, to positively identify the four suspects after they were taken into custody? If so, what had the victim said? Getting a straight answer from the arresting officer, Chedanan Naurang, proved nearly impossible. It had been Officer Naurang’s quick thinking that had made the arrest possible: Having lost the suspects at one subway station, he followed a hunch and drove one stop down the line, where he caught up with the four men after they got off the train. But certain details Officer Naurang gave prosecutors kept shifting over the next year, according to a February 2017 letter that prosecutors wrote in which they summarized his fluid story. Officer Naurang said at one point that the identification had occurred inside a police station when the victim passed by the holding cells, saw the men and confirmed their involvement in the crime. A few weeks later, he backtracked. No, the victim had actually never gotten to see the suspects at the police station, Officer Naurang explained. Instead, the victim had gotten a chance to view them on the street, shortly after their arrest. That’s when the victim got out of the police vehicle in which he had been waiting, Officer Naurang said, and pointed to one of the four men, identifying him as an attacker. This version of events, however, was at odds with the recollection of the police officer who had driven the victim to the scene of the arrest. That officer, Christopher McDonald, told prosecutors that the victim had remained in the back seat while viewing the four suspects. And Officer McDonald said that the victim couldn’t say whether they were his assailants. He thought he recognized their clothing, but wasn’t sure. Because of Officer Naurang’s changing story, prosecutors dropped the case against the men as part of a deal in which all four pleaded guilty to charges stemming from a second mugging they were accused of the same night. Another case in which the police gave false information about a witness identification came after a carjacking in Brooklyn in 2015. In that case, the police began to focus on two suspects based on an anonymous tip and a fingerprint. A detective, Michael Foder, testified that he had then prepared two photo lineups — one for each suspect. Each consisted of the suspect’s photograph printed on a sheet of paper, alongside the photos of “fillers” — people of vaguely similar appearance with no connection to the crime. 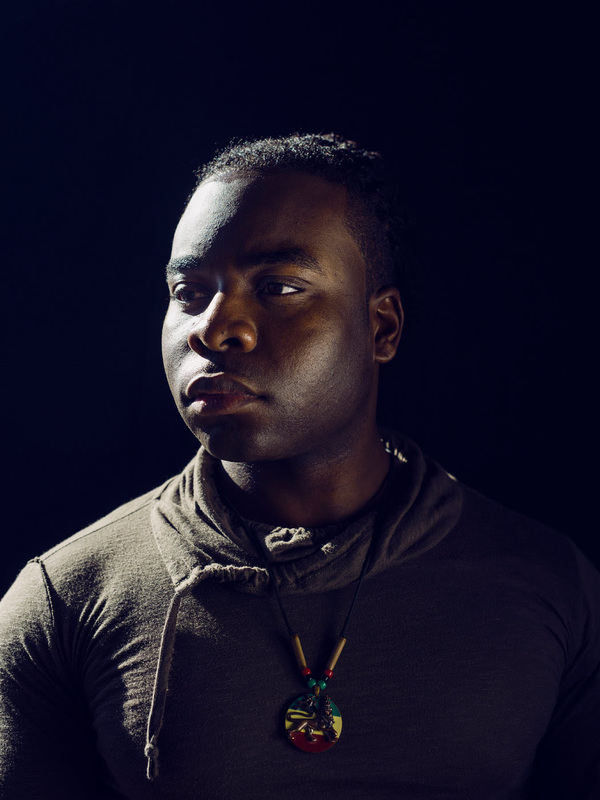 The hope was that the victim, a livery cabdriver, might recognize the suspect’s photo and pick him out — an outcome that prosecutors regard as a strong indicator of a suspect’s guilt. That’s what happened, Detective Foder testified, when the victim came to the precinct to view the photo lineup for one suspect in November 2015 and returned in February 2016 to view one for the second suspect. But the photo lineups that Detective Foder had prepared — and were submitted as evidence in federal court — were fabrications. It was a federal prosecutor who first realized that many of the photos used in the lineups were not yet available at the time Detective Foder claimed to have shown them to the victim. The reason? The photos of some of the fillers had yet to be taken. The lineup that was said to be from November 2015 included filler photographs that were not taken until December. And the one he claimed to have administered in February featured photos that were taken in March. Last month, Detective Foder was indicted on federal perjury charges. The indictment accuses him of lying to “conceal the fact that he had falsified documentation” related to the photo lineups. Detective Foder’s lawyer entered a plea of not guilty on the detective’s behalf. A prosecutor discovered that many of the photos in the array Detective Foder said he had shown the victim Feb. 14, 2016, were not even taken until after that date. Detective Foder’s actions appear to be aimed at tilting the scales toward guilt. But more often, The Times found, false statements by the police seem intended to hide illegal searches and seizures, such as questionable car stops or entries into apartments that result in officers finding guns or drugs. If the truth were to emerge that the case began with an illegal police search, the evidence would quite likely be thrown out and the case dismissed. A series of stories examining the entrenched culture of ‘testilying’ in the New York Police Department. The story that Christopher Thomas, a plainclothes police officer, told a grand jury in December 2014 sounded plausible enough. As he approached a parked car with a flashlight in hand, he said, he saw a man in the driver’s seat pull a firearm out of his waistband and stick it between the car’s center console and the front seat. The driver was indicted on gun-possession charges. But by July 2015, as video of the encounter was about to emerge, Officer Thomas started backtracking. In conversations with the assistant district attorney on the case, Officer Thomas acknowledged that he had not seen the driver pull the gun from his waistband. In fact, he said, he had never seen the driver with his hand on the gun. “He stated to the A.D.A. that he did not know why he had testified to those facts before the grand jury,” according to an email prosecutors later sent to a defense lawyer. This email, as well as several similar letters that prosecutors sent in other cases, were provided to The Times by Cynthia Conti-Cook, a Legal Aid Society lawyer who has been compiling a database of police misconduct allegations. The video undermined Officer Thomas’s original claim of having seen the gun at the outset. It shows Officer Thomas and his partner approach the car and shine their flashlights inside. Their demeanor on the video suggests that they had seen nothing so far to cause alarm. One of the two officers — either Officer Thomas or his partner — is so unconcerned that he bends down for about seven seconds, and appears to tie his shoe. Video emerged that undermined Officer Christopher Thomas’s original claim of having immediately spotted a gun in the car. Brooklyn prosecutors dismissed the gun case and, according to the prosecutors’ email, informed the Police Department’s Internal Affairs Bureau about the problems with Officer Thomas’s account. An internal police disciplinary process led to Officer Thomas losing 30 vacation days and being placed on dismissal probation for a year, according to a person familiar with the case. He is now a sergeant in a narcotics unit. Officer Thomas is not the only officer to have tried to withdraw earlier testimony as soon as video of an encounter emerged, or was about to. “I misspoke when I was in grand jury,” Sean Kinane, an officer with the 52nd Precinct in the Bronx, testified in federal court in 2016. That was all the explanation he gave, or was asked to give, for why he was recanting his earlier testimony about witnessing what appeared to be narcotics transactions in the moments before he stopped a heroin dealer in the street. That claim, if true, would have given the police justification to stop the man, who was discovered to be carrying 153 glassine envelopes of heroin and eight bags of crack cocaine. But after the drug dealer managed to get a video recording of the encounter, Officer Kinane’s story changed. He had misspoken. Reached by telephone for comment, Detective Kinane — he was promoted in 2017 — hung up. Many police officials and experts express optimism that the prevalence of cameras will reduce police lying. As officers begin to accept that digital evidence of an encounter will emerge, lying will be perceived as too risky — or so the thinking goes. As more police encounters are recorded — whether on the cellphones of bystanders or the body-worn cameras of officers — false police testimony is being exposed in cases where the officer’s word might once have carried the day. That is true for run-of-the-mill drug cases as well as for police shootings so notorious that they are seared into the national consciousness. Yet interviews with officers suggest the prevalence of cameras alone won’t end police lying. That’s because even with cameras present, some officers still figure — with good reason — that a lie is unlikely to be exposed. Because plea deals are a typical outcome, it’s rare for a case to develop to the point where the defendant can question an officer’s version of events at a hearing. The percentage of cases that progress to the point where an officer is cross-examined is tiny. In 2016, for instance, there were slightly more than 185 guilty pleas, dismissals or other non-trial outcomes for each criminal case in New York City that went to trial and reached a verdict. There were 1,460 trial verdicts in criminal cases that year, while 270,304 criminal cases were resolved without a trial. To be sure, officers are sometimes called to testify before trial at so-called suppression hearings in which the legality of police conduct is evaluated. But those are rare. In Manhattan, about 2.4 percent of felony criminal cases have a suppression hearing, according to data from the Manhattan district attorney’s office. The rate for non-felony cases is slightly more than one-tenth of 1 percent. 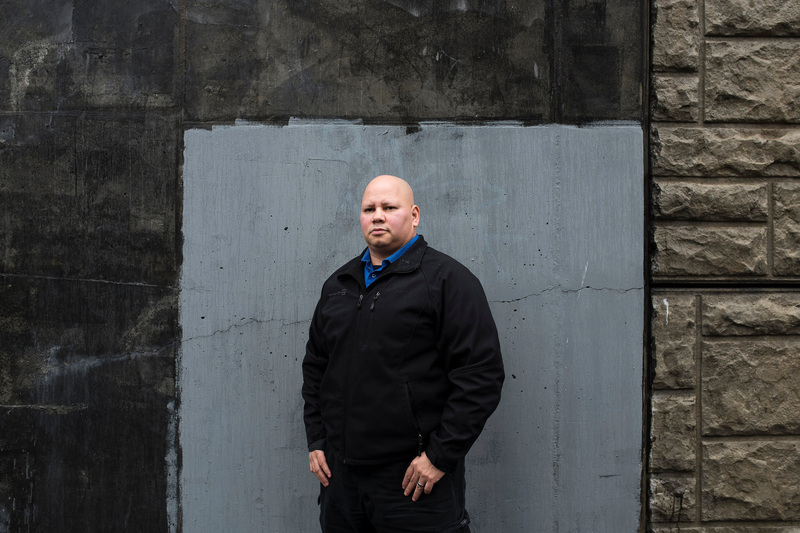 Several officers, all working in the Bronx and Brooklyn, candidly described in interviews how the practice of lying runs like a fault line through precincts. 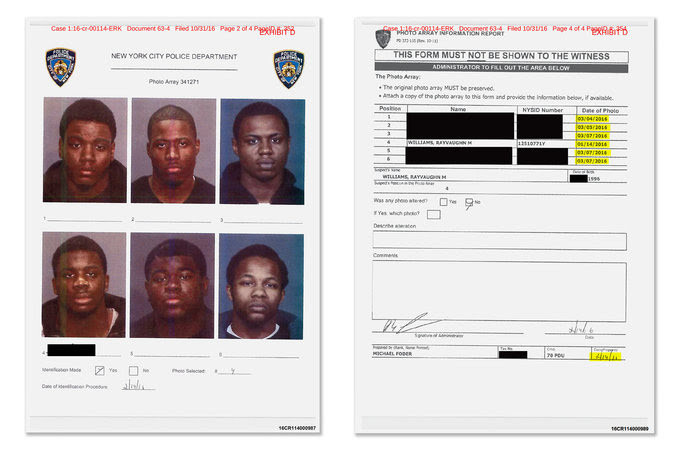 “You’re either a ‘lie guy’ or you’re not,” said the Brooklyn officer. Speaking on condition of anonymity, he described how he avoided certain officers and units in his precinct based on his discomfort with the arrests they made. Earlier in his career, he said, a supervisor and a detective had each encouraged him to lie about the circumstances of drug arrests. Another time, he said, he had worked with an officer who, after discovering drugs while searching a suspect without cause, turned to the other officers present with a question — “How did we find this?” — and sought their help devising a false story. Countless police officers have struggled with that question — “How did we find this?” — ever since 1961, when the Supreme Court ruled, in Mapp v. Ohio, that state judges must throw out evidence from illegal searches and seizures. Before this ruling, New York City officers could stop someone they thought might be dealing or using drugs, search their pockets and clothing, describe the encounter truthfully, and not worry that a court would throw out the drugs that they had discovered, even though the stop and search had been, strictly speaking, illegal. That changed with the Mapp decision, which greatly expanded the reach of the Fourth Amendment. Immediately after the Mapp case, police officers saw many narcotics cases be dismissed. Then they made what one judge called “the great discovery.” If they testified that the suspect had dropped a bag of drugs on the ground as the police approached, courts would generally deem those arrests legal. Within a year of the Mapp decision, courts in New York City were seeing a marked increase in what became known as “dropsy” testimony — in some units “dropsy” cases increased more than 70 percent, according to one 1968 study. There was little reason to think drug users had grown more skittish. Rather, the influx of these cases was understood to be a sign that police officers were lying in a substantial number of cases. Ever since, courts in New York have been plagued with officers lying about how they came to discover that a suspect was carrying drugs or guns. By 1994, a commission appointed to investigate police corruption noted that lying to make cases stick was common enough for “testilying” to become a well-known portmanteau. Just like the dropsy testimony a few decades earlier, these stories of “plain view” and “suspicious bulges” became scripts that many police officers stuck to. They were rarely challenged, not even as officers in New York City began repeating them tens and then hundreds of thousands of times as police stops of mainly black and Latino men skyrocketed during the years Michael R. Bloomberg was mayor. In recent years, the number of times police stopped and frisked pedestrians has declined precipitously. 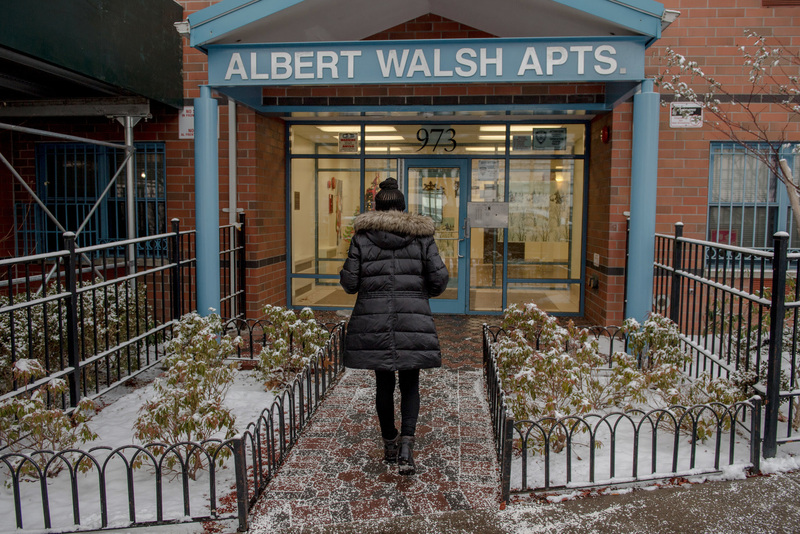 But certain plainclothes units, such as the so-called anti-crime teams, still engage in an aggressive style of policing that relies heavily on stop-and-frisk tactics. These teams make a disproportionate number of gun arrests, but they are also responsible for a substantial number of dubious stops of pedestrians and drivers, police officers and legal experts said in interviews. Several uniformed patrol officers said they have long suspected that the track record of plainclothes anti-crime teams for making weapons and drug arrests was bolstered by illegal searches and a tolerance for lying about them. These officers described a familiar scene: a group of black men ordered out of a vehicle for little reason and made to sit on the curb or lean against the bumper, as officers search the vehicle for guns and drugs. Mr. Serrano’s testimony about a secret station-house recording he made was crucial evidence in a landmark stop-and-frisk trial in 2013. He and nearly a dozen other current and former officers are suing the Police Department over what they describe as arrest quotas. To be sure, there are other motives for lying, other than to cover up illegal searches. Some police officers have said they faced pressure from commanders to write more tickets or make more arrests. A decade ago, narcotics detectives were found to have falsely accused people of dealing drugs in order to meet arrest quotas. And there is pressure to solve — or at least close — cases. That may have motivated Officer Martinez’s gun-in-the-laundry-bag-in-the-doorway story. What appears to have actually happened is that Officer Martinez and other officers searched inside the apartment for evidence from a nearby shooting. They had good reason to focus on that apartment. The victim, after being shot, had rushed there, along with others. Crime-scene photos taken by the department’s Evidence Collection Team suggest that a gun was found inside the apartment, in or near a laundry bag on the floor. But whose gun was it? That was not clear. A number of people had been in the apartment in the preceding hours. And Ms. Thomas, who lived more than a mile away and arrived about an hour after the shooting, was one of the few people there when Officer Martinez showed up. There is little, if any, evidence tying Ms. Thomas to the gun other than Officer Martinez’s false testimony that placed her in the doorway with the laundry bag in her arms. Prosecutors acknowledged that DNA testing indicates that Ms. Thomas did not handle the gun. Moreover, court papers that prosecutors filed after the case fell apart noted that the police appear to have focused on Ms. Thomas while ignoring other potential suspects. Several other people had entered the apartment shortly before Ms. Thomas — “none of whom are questioned by the police,” the prosecutors’ papers noted. Nate Schweber contributed reporting. Susan Beachy, Doris Burke and Jack Begg contributed research.